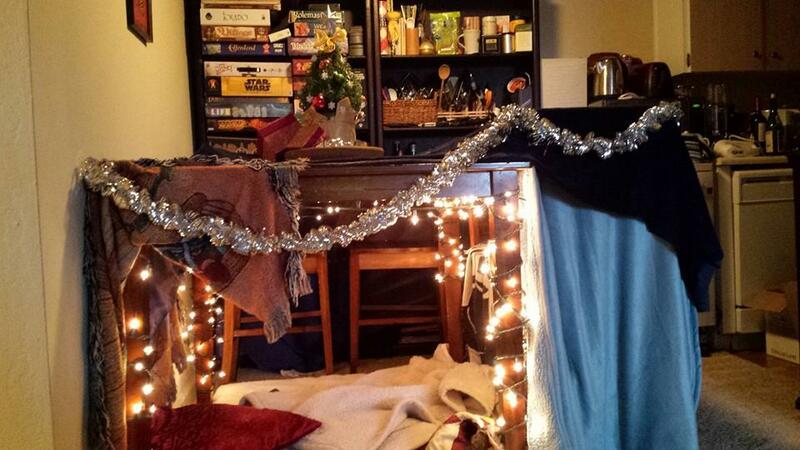 As usual I didn’t really feel like the holidays are actually here until construction of Fort Xmas began. 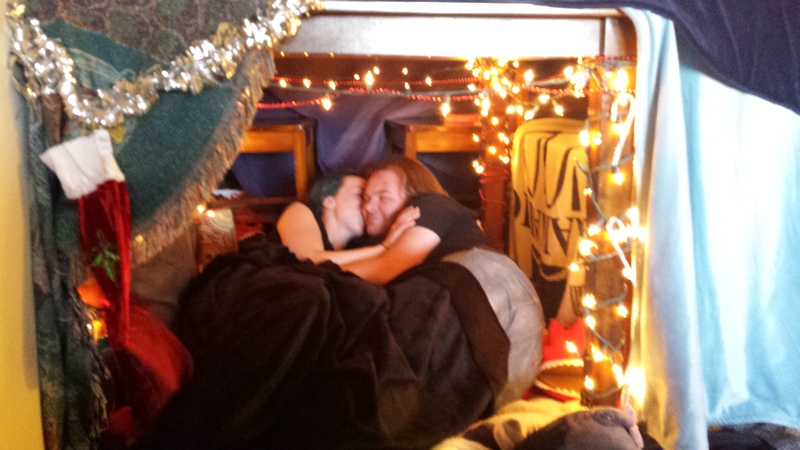 The fort started as a tradition on our first lonely xmas in San Diego. 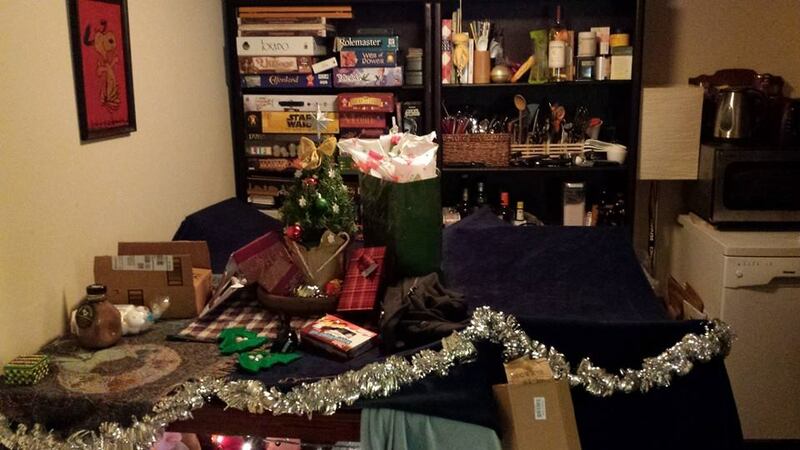 We didn’t really have room to do much holiday decorating, so we made our table into a comfy place with an excess of cheer (gaudy decorations). It really helps me remember how to feel like joyful child during a fairly stressful time of year. 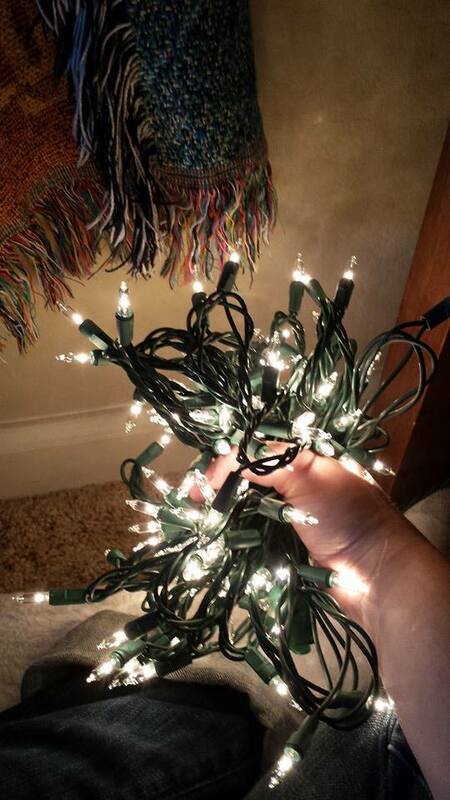 Here you see one of the two bundles of lights that end up getting wrapped around the table legs to illuminate the fort. This year I only put Fort Xmas up a few days before we headed over to Mama and Papas place for xmas. It’s nice living close enough to them that we can visit for that without too much stress and planning. Over at their house we had an awesome dinner xmas eve. 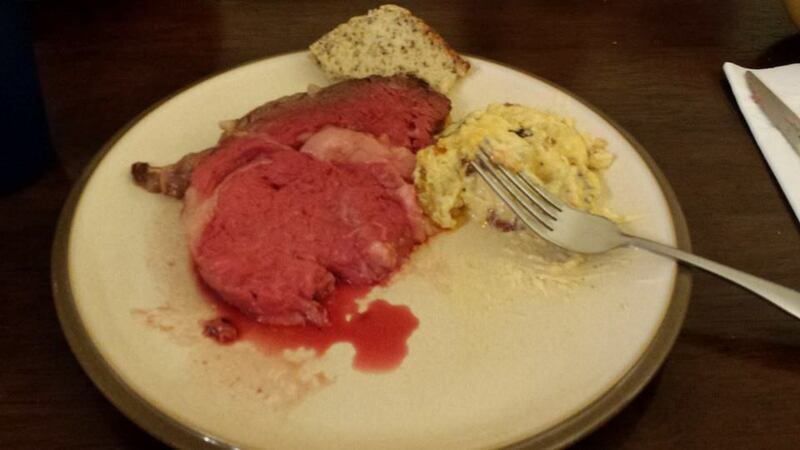 The prime rib looked scary bloody, but the texture and flavor was cooked to perfection! And the cheesy potatoes were no joke. I could gorge on those forever! Beth and David joined us all for the meal and some fun hanging out, but I only got a picture of the food not the wonderful company! The tree this year looked like something out of a card or movie, so perfectly round! Sadly the only shot I got was kinda blurry. 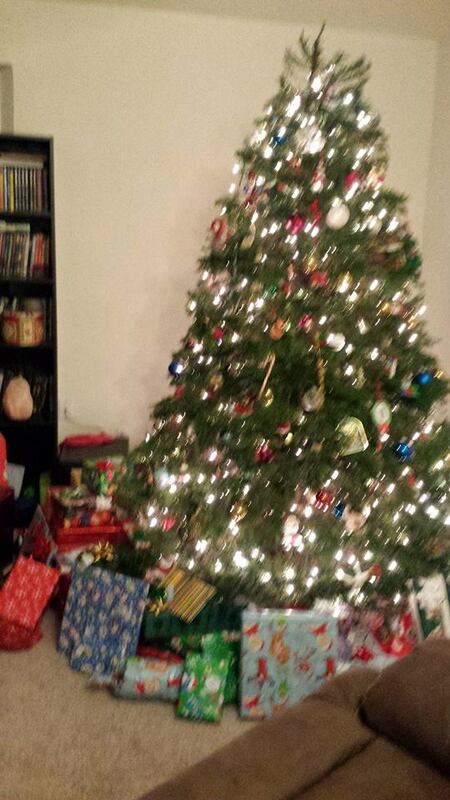 Needless to say though, gifts for six people from six people looks a lot more impressive than the gifts for three we had back at Fort Xmas. Xmas morning was bitter cold, as it should be. We trudged from our cozy beds (So many blankets!) to the tree, coffees and teas in hand. The great rending of paper then began. There was much oohing and ahhing, and wonderment at how well chosen gifts were (even the ones we knew were coming were a joy to open). However, this beauty wins the award for most surprising gift this year! She is so adorable and cuddly! 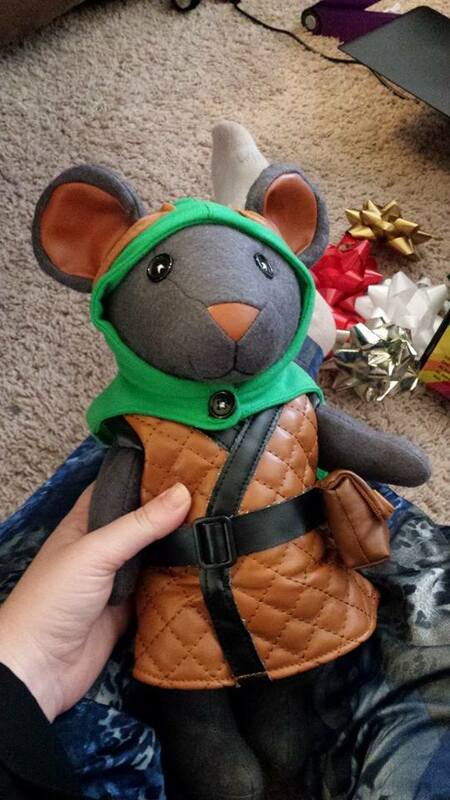 I didn’t even know they made mice and mystics plushies! Her name is Lilly, and she’s a baddass in her leather armor. She’s an archer in the game so I’m probably going to make a little bow and arrow set for her this next year. We hung out most of the day. 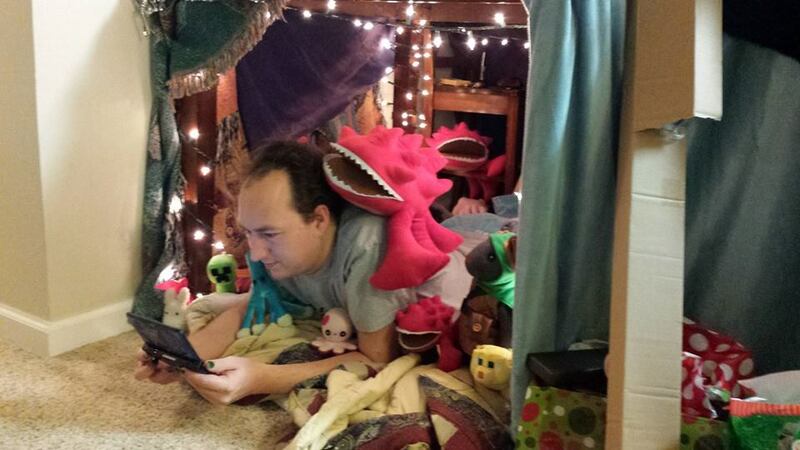 Playing with new toys and games, reading new books, watching new movies (Guardians of the Galaxy! Yay Papa!). But as soothing as it was seeing everyone, a part of me was pining to crawl back to Fort Xmas. We headed back to The Abbey that evening, and I was very nearly tempted to go to bed in my Fort. 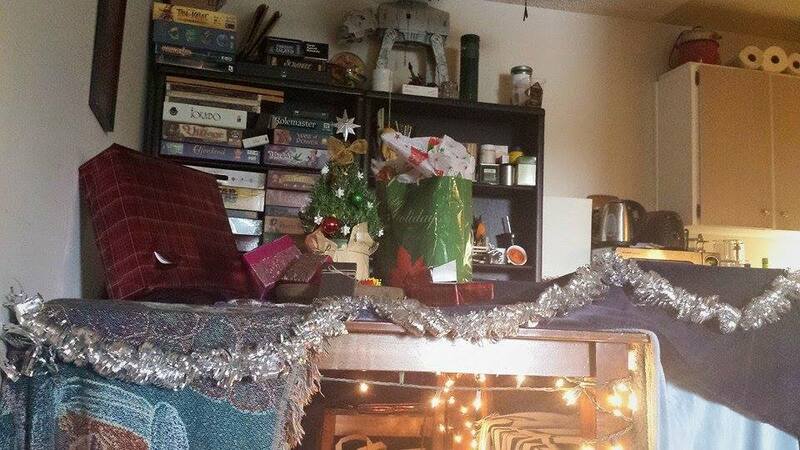 The aftermath of xmas has left the fort in a bit of disarray, but some gifts still remain for beloved friends out of town with their families. I hope they are having the holidays they need. 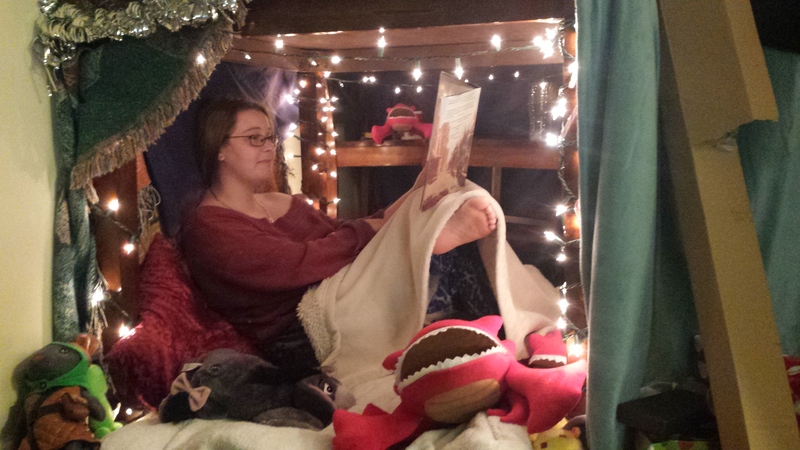 I spent most of the holiday season cuddled in the fort reading or playing games myself. Just before New Years, My dear friends brought up their cat, who we’re fostering until they finish moving up and have a landlord that allows cats. He’s a skittish but adorably sweet cat. 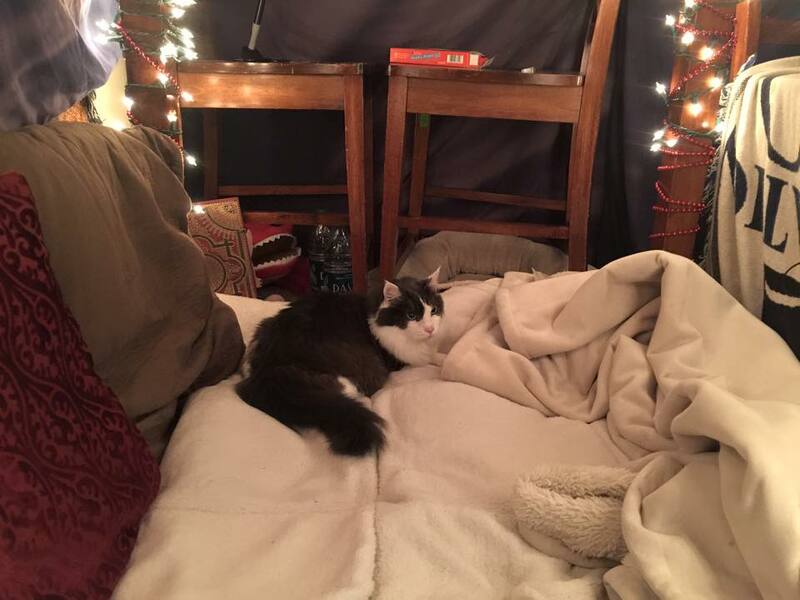 He loves hiding under things, and immediately claimed Fort Xmas for his own. The fort is a place of love and joy! Perfect for new-years eve mushyness! Though watch out for those Hellbugs! I hope your holidays brought you light and joy and love, and I hope you have more ahead of you in this fresh new year!